Everyone is this little town was so warm. 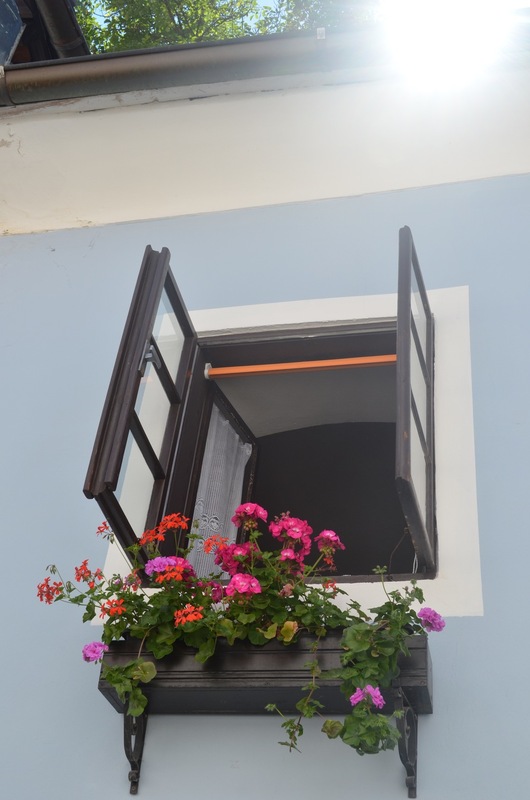 From the receptionist at our accomodation, Krumlov House (which I couldn't recommend more), to musicians on the street, the people who live in this little town welcomed us and treated us with kindness. Check out my profile of a man who lives there and owns a vegetarian restaurant and you will quickly see what I mean. 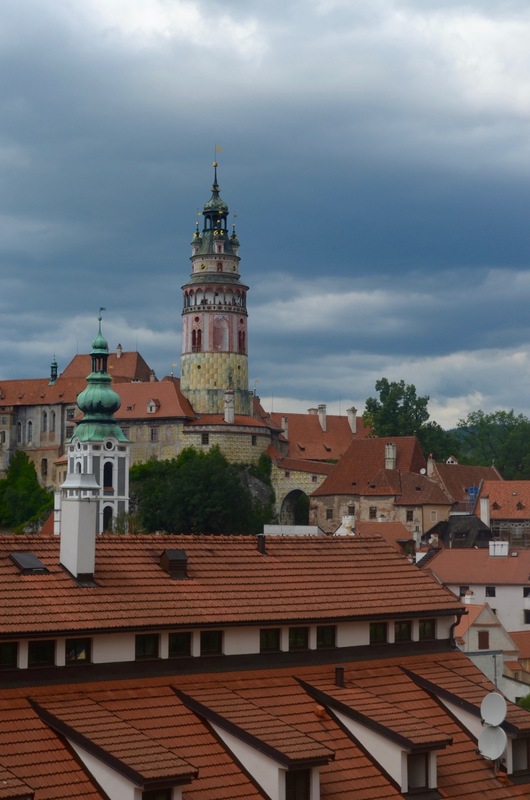 It is also a certain type of tourist who visits a small town like Cesky Krumlov, so the other travelers you will meet there are also very adventurous and crave knowing a culture in its truest sense. 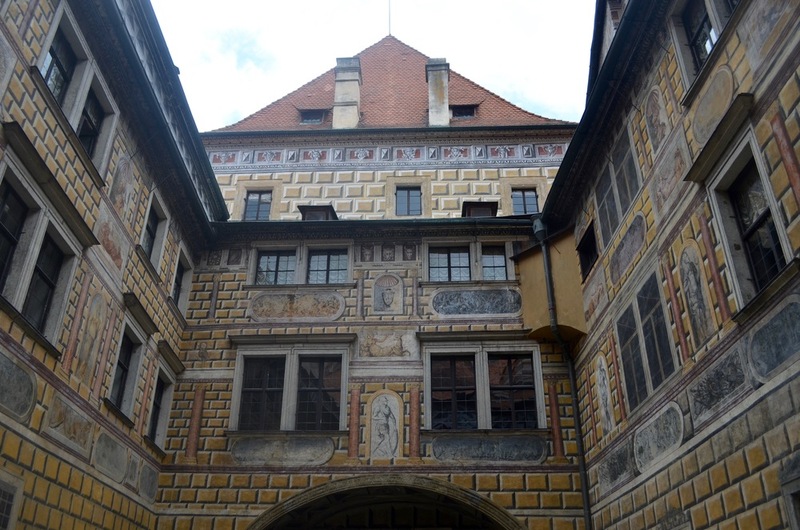 The Cesky Krumlov castle has an interesting history as it has changed hands of many important Czech people. A tour through the castle was nice to learn about it, but not necessary to enjoy the beauty of the building. Even more entrancing was the gardens behind the castle. These should not be skipped, as they are quiet and spread languorously from fountains and sculpted gardens to a pond filled with lily pads. Also the view from the castle is the best to be had if you would like to gaze out over this fairytale town. Snaking through the town is the Vltava river. If we had planned a little in advance or been there for longer, we definitely would have gone river rafting or kayaking, as we saw many locals and tourists have a great time keeping cool in the river. Even so, it is a beautiful sight and perfect for watching as you eat a delicious dinner or listen to some didgeridoo. An artist who grew up in Cesky Krumlov, Egon Shiele brought attention to the town with his moody, expressionist paintings. He is also famous for being good friends with Gustav Klimt. There is a museum in town that features some of his work, although many of the originals are not there. However, we really enjoyed visiting as the exhibits by other artists, including the jungle-inspired of Czech artist Otto Placht and Peruvian artist Dimas Paredes Armas, intrigued us. 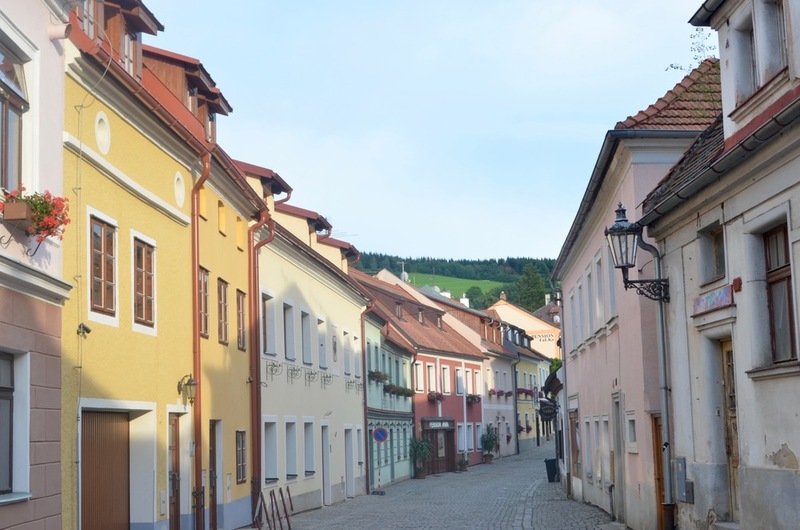 From the musicians that play old rock and alternative songs in the city square to the views that show off uneven orange roofs of stone houses, the mentality and feeling of this town drew me in. It is laid back, with people wandering slowly through, but with a great quality of life. 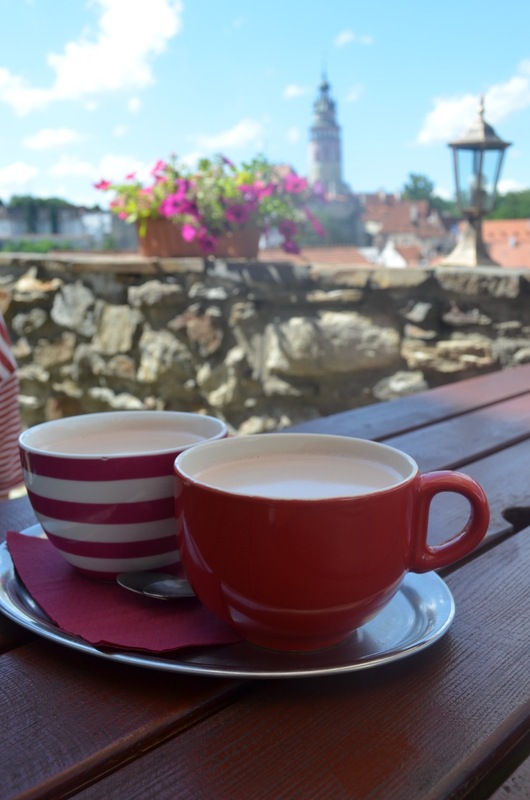 We had some amazing hot chocolate here, wandered the streets until we knew them, and came to love the Czech Republic. Actually we loved it so much that we changed around our plans, renting what was nearly the last room in town, in order to stay a second night. A market off the main square.